I'm currently reading David Harvey's A Brief History of Neoliberalism and am struck at how prescient many of his insights are. Written in 2005, Harvey is able to reflect on world affairs up into the Bush II era, however it is unlikely that he could have foreseen the calls for change that led to Obama's election and the ensuing difficulties of executing that change. 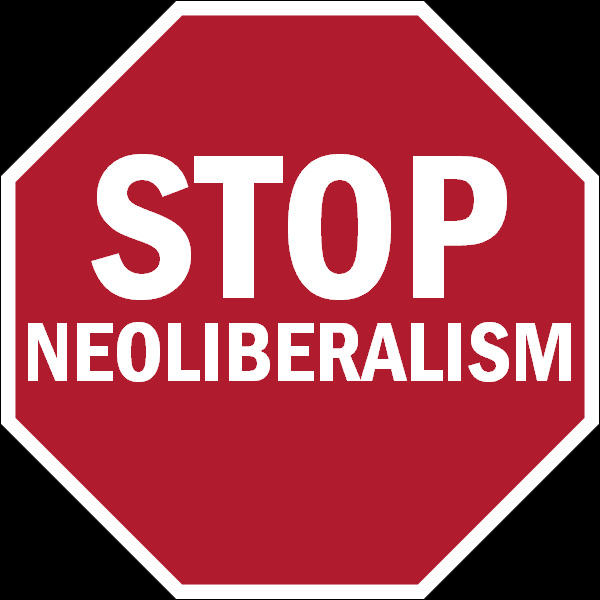 The recent economic collapse likewise was not foretold, but still could be seen as an expected development in what is actually the era of neo-neoliberalism. The outcome of the most recent collapse however, does fit perfectly with trends in policy response to such economic troubles in the past. In short, the rich have gotten richer, while the poor (and middle classes) are stretched thinner and thinner. "There are two kinds of freedom, one good and the other bad. Among the latter he listed 'the freedom to exploit one's fellow, or the freedom to make inordinate gains without commensurable service to the community, the freedom to keep technological inventions from being used for public benefit, or the freedom to profit from the public calamities secretly engineered for private advantage." "But 'the market economy under which these freedoms throve and also produced freedoms we prize highly. Freedom of conscience, freedom of speech, freedom of meeting, freedom of association, freedom to choose one's own job'. While we may 'cherish these freedoms for their own sake', they were to a large extent 'by-products of the same economy that was also responsible for the evil freedoms." 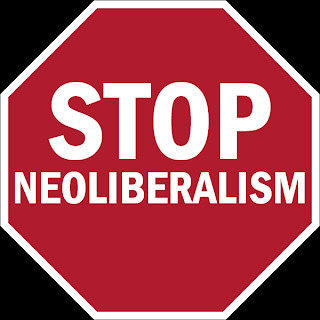 This dual nature of the concept of freedom is exactly what neoliberalism uses for the advancement of the interests of those who hold wealth and power. The "good" aspects of freedom are used to cover-up or obfuscate the "evil" aspects of freedom that are actually being put into action. What is perhaps most startling, is that there is evidence for this (at least in terms of outcomes) in the news everyday. One has to look no further than the huge financial bailouts that were given to the banking industry that not only covered losses incurred by the banks, but also provided large bonuses to those at the top of the ladder. Or take a look at this article from the Times Online from the UK that notes that the richest people in Britain have seen their wealth increase by 30% in the last year - smack in the middle of the worst global recession in recent history. Still not convinced? Check out this article from the LA Times that spotlights who is responsible for what may turn out to be the largest and most damaging oil spill ever. Guesses? Look no further than Halliburton, the corporation with links to Cheyney, that has made huge profits through it's "involvement" in the wars in Iraq and Afghanistan. The weakening of federal regulations during the Bush-Cheyney era may be directly responsible for sub-par construction methods on the leaking oil-rig. Halliburton was sub-contracted to perform the work, and the article reports that they are under investigation in Australia for a similar construction failure that led to a massive oil leak there. Interested in some more damning evidence? Check out this commentary on Mongabay, BP’s Oily Political Connections: from the Bush to Obama Era, that details the political influence that BP as wielded in the administrations of both the Republicans and the Democrats. Freedom, good or bad, is clearly not a partisan issue. So I ask, whose interests are being promoted and protected here? What freedoms are being advanced? Can we afford to take the "bad" freedoms with the "good" that we value so much? Can we have the "good" without the "bad"? These are questions that I will continue to ponder, and I'm interested in others' thoughts and opinions on the matter. Great post. I couldn't agree more with everything you said. It's certainly mind-blowing when facts like these are laid out in black and white.